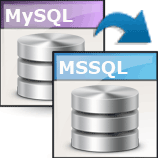 Guide of Viobo MySQL to MSSQL Data Migrator - migrate data from MySQL to MSSQL easily! Viobo MySQL to MSSQL Data Migrator is data migrator between MySQL and MSSQL without official client environment of database system and with NO DBA experience required. It can excute SQL Script, Stored Procedure and Function of your database system in Conditions Test simply; and help you administrate databases. Viobo MySQL to MSSQL Data Migrator display databases as Tree-structure. Users can drag and drop objects in multi-tree to operate data in multi-dababases from one to another. Viobo MySQL to MSSQL Data Migrator installation process is very simple and standard. Viobo MySQL to MSSQL Data Migrator uninstallation process is very simple and standard. 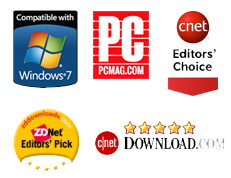 Follow the instructions to uninstall the program.